Heart disease is any disorder that affects the heart’s ability to function normally. Heart and circulatory diseases are the leading causes of death for men and women in the UK and all over the world. This is a tragic phenomenon of the modern human life-style gradually developed over the last decades. Heart diseases include coronary artery disease (CAD), heart attack and congestive heart failure. 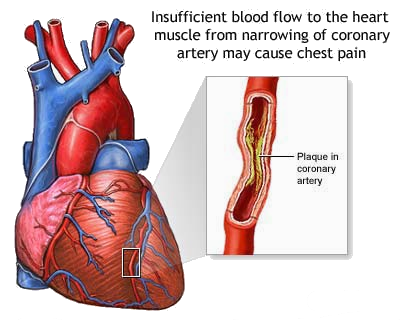 The disease starts developing when your coronary arteries are narrowed or blocked by plaque build-up in the inside walls. This condition is called atherosclerosis. As a result, oxygen-rich blood cannot reach your heart muscle in sufficient amounts and on time.The aggravation of these conditions causes angina or a heart attack. Arteriosclerotic Vascular Disease or Atherosclerosis is a potentially serious condition when an artery wall thickens and get clogged up because of the accumulation of fatty substances called plaques or atheromas. Atherosclerosis usually develops slowly. The process starts when the inner lining of an artery is damaged by either high blood pressure in the artery or a virus, an allergic reaction, irritants such as nicotine or drugs. Low density lipoproteins (LDL) – plasma proteins that carry cholesterol, which is also defined as “bad cholesterol”, and blood cells often get stuck in the injured wall of the artery. To clean up this “mess”, specialised white blood cells move into the damaged area to gobble up fats and cholesterol.The blood cells may gobble up so much that they burst, causing more injury. Thus, the entire cycle repeats again. As the damage grows, platelets – the cells in the blood that help blood to clot – recognise an injury and stick themselves to the injured area. One of the ways that platelets try to fix the injured artery is by instigating a relocation of muscle cells into the wall of the artery. This thickens and stiffens the artery wall and causes further damage to the injured area. The thickened area is known as a plaque which gradually grows blocking the artery and reducing the blood flow through it. When that happens, more and more parts of the body begin to suffer from lack of oxygen. In time, the plaque can get larger and break open. When the rupture happens, a blood clot may form and block the flow of blood through the artery causing a stroke or heart attack. ❑ a mini-stroke (transient ischemic attack, or TIA). Cerebrovascular Accident (CVA), better known as a stroke, is a serious medical condition which takes place when the blood supply to part of the brain is cut off that leads to the rapid loss of brain function. The oxygen and nutrients are needed for a proper function of the brain therefore when the supply of blood is disrupted brain cells begin to die. This might result in an inability to move parts of the body, understand or formulate speech. ❑ Ischaemic (over 80% of all cases): the blood supply is disrupted due to a blood clot. ❑ Haemorrhagic: brain damage caused by the brain bursts due to a weakened blood vessel supply. ❑ Transient Ischaemic Attack (TIA) or a ‘mini-stroke’: a condition when the supply of blood to the brain is temporarily interrupted. Most heart attacks are caused by a blood clot which ends-up blocking one of the coronary arteries (the blood vessels that bring blood and oxygen to the heart muscle). When blood cannot reach a part of your heart, the area starves for oxygen. If the blockage continues long enough, cells in the affected area die. Learn more about arteriosclerosis risk factors. A less common cause of heart attacks is a severe spasm (tightening) of the coronary artery that cuts off blood flow to the heart. These spasms can occur in persons with or without artery disease. Just like a skin wound, healing of the heart muscle begins soon after a heart attack. It takes about eight weeks: the heart’s wound heals and a scar will form in the damaged area. However, the new scar tissue does not contract therefore the heart’s pumping ability is lessened after a heart attack. The amount of lost pumping ability depends on the size and location of the scar. Some people have a heart attack without having any symptoms .A “silent” myocardial infarction can occur in anyone, but it is more common among people with diabetes. sides of the heart although it can occur in the right or left side of the heart only.Right-side heart failure is evident when the heart cannot pump enough blood to the lungs to pick up oxygen. It may cause fluid to build up in the feet, ankles, legs, liver, abdomen and the veins in the neck. Left-side heart failure occurs if the heart cannot pump enough oxygen-rich blood to the rest of the body. It causes shortness of breath and fatigue (tiredness).